The Last Green Valley, Inc. (TLGV) is searching for 13 photos that capture the unique spirit of the National Heritage Corridor. The selected images will appear in the 2019 TLGV Calendar and hang proudly in businesses and homes throughout the National Heritage Corridor and beyond! Photos must convey the exceptional natural, historic, and cultural resources of The Last Green Valley. We welcome photos of people caring for and enjoying the National Heritage Corridor, but we must have the subject’s permission to publish the photo. The TLGV Calendar is a full 8.5 by 11 inches, printed in color on high quality paper. The back cover includes a map of the National Heritage Corridor with additional information. 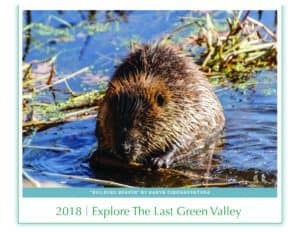 The 2019 TLGV Calendar will be available through the TLGV online shop, with all proceeds supporting the programs and projects of the nonprofit. Winners who submitted the photos chosen for each month will be given 5 copies of the 2019 TLGV Calendar and their photo will be printed with their name and photo title. The photographer selected to illustrate the cover will also be featured in a press release about the calendar, in addition to receiving 10 copies of the 2019 TLGV Calendar. Each photograph must be in color digital format, sized to 8 x 10 inches, and at least 300 dpi.